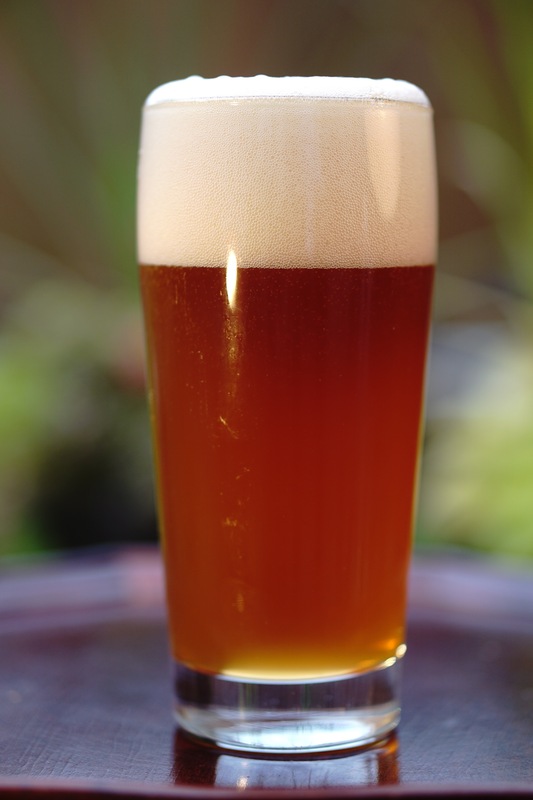 This is the beer I made with malted Emmer, Spelt, Khorasan and caramel Khorasan. It’s got a bunch of modern hop varieties in it Citra, Galaxy, Mandarina Bavaria and Azacca. I usually only add a couple of different hop varieties to a beer but this day was a “what the hell” kind of day. This beer actually cleared up after a few weeks after starting out rather hazy. You can almost read the label on the back of the glass in the picture above. The head is big and lingers till the end and as of now, no gushers. I was expecting a few because of the fusarium I saw in the Khorasan. Luckily it was not bad enough, I’ve gone through about half of them and so far so good. Flavour: tart, really tart, underneath is the earthy spiciness of cloves. I used Wyeast Weihenstephan 3068 fermented on the cool side at 18C or 64F. On top is a lot of fruit from the hops, so much that it reminds me of POG, that Hawaiian drink that consists of passion fruit, orange and guava juice . At first, I thought the spicy fruit combo was weird and I thought it would have been better if I fermented warmer to get more banana esters. But it’s grown on me and if there were banana notes it might just taste like a fruit salad (which might be worth a try next summer) As it is it takes some time to detect all the flavours going on. It definitely has body, it’s like eating sourdough bread so it’s a slow drinking beer that demands a couch and an ottoman, or something to support the “wheat belly” I’m working on.